NOISE CONNECT - simplicity of form and universality of use! 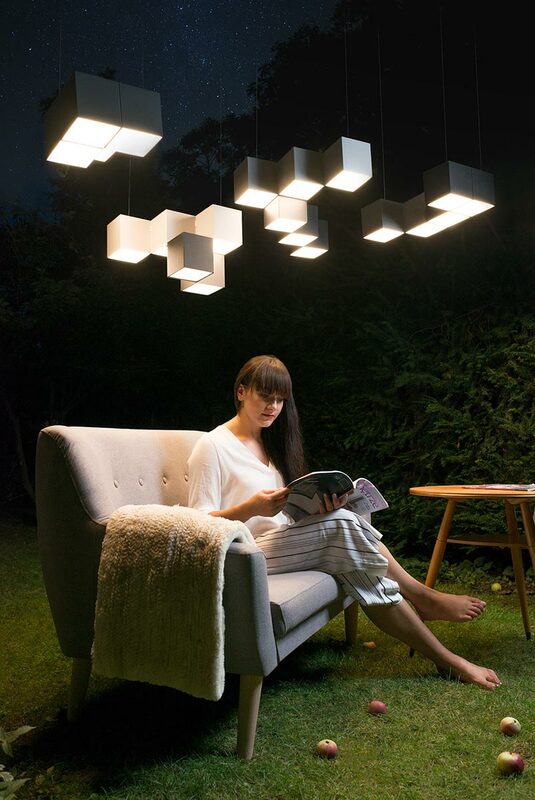 The NOISE cubes can be arranged into any shape: from complex radial systems decorating lobbies in historic buildings, through winding snakes lighting communication lines in modern hotels, to economic compositions over tables in residences and apartments. 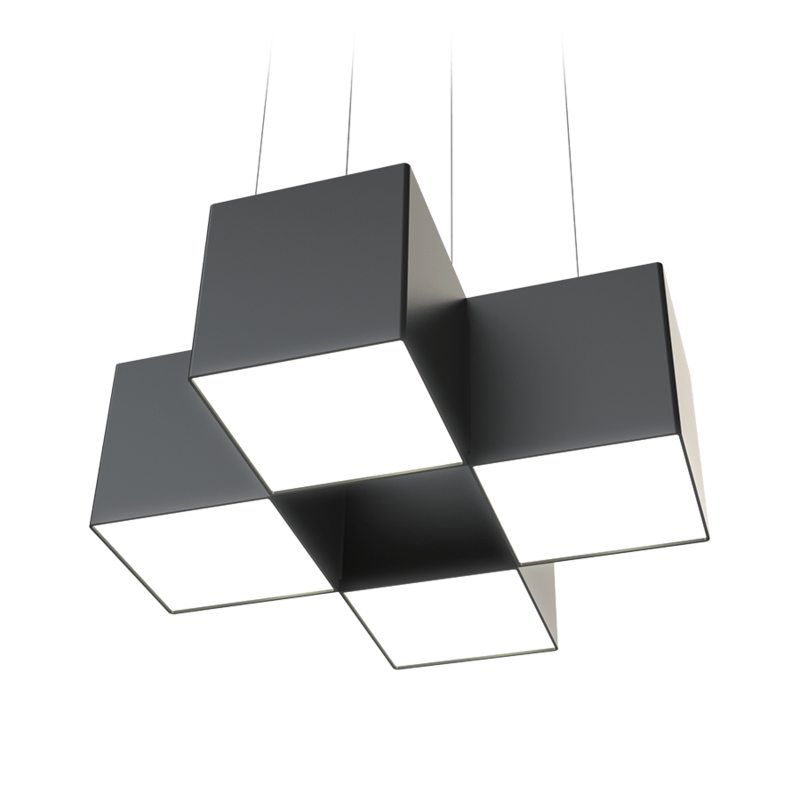 A single cube is a universal module that creates 5 basic shapes: DIAGON, STEPS, LINE, CORNER, CLOVER. 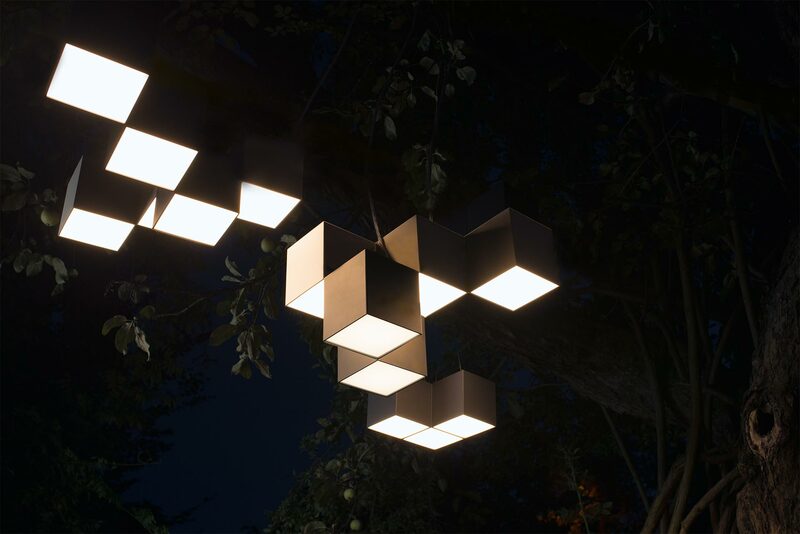 With them you can compose a light sculpture in the interior. 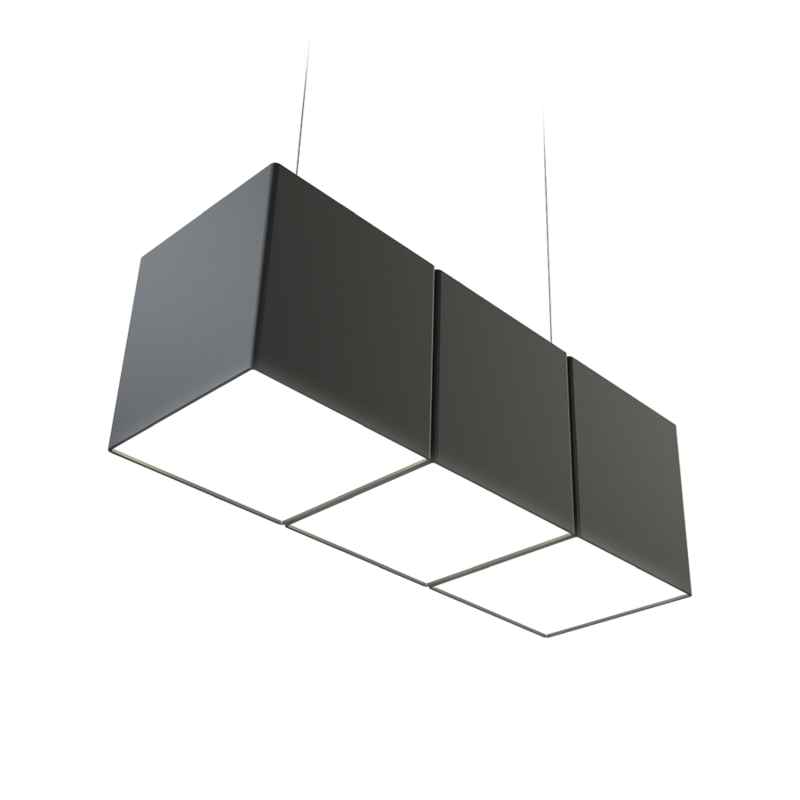 Satin plexiglass covering the LED modules makes the emitted light extraordinarily soft. 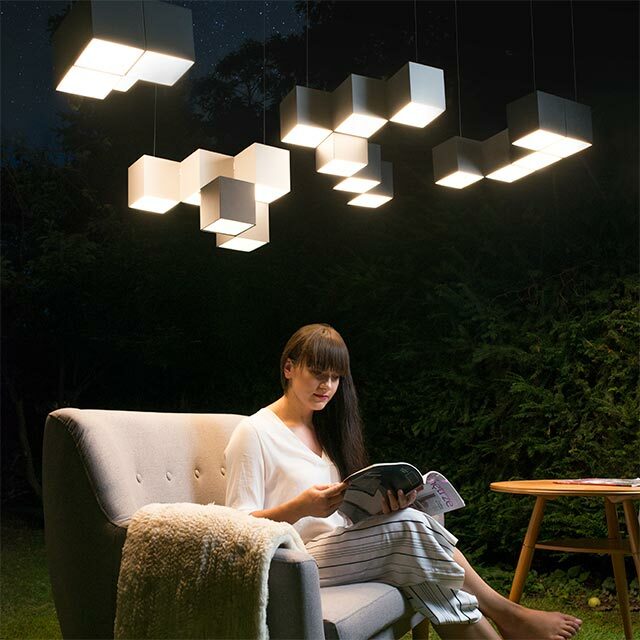 The illuminated interior creates a good mood and a pleasant atmosphere. A delicate cube with dimensions of approx. 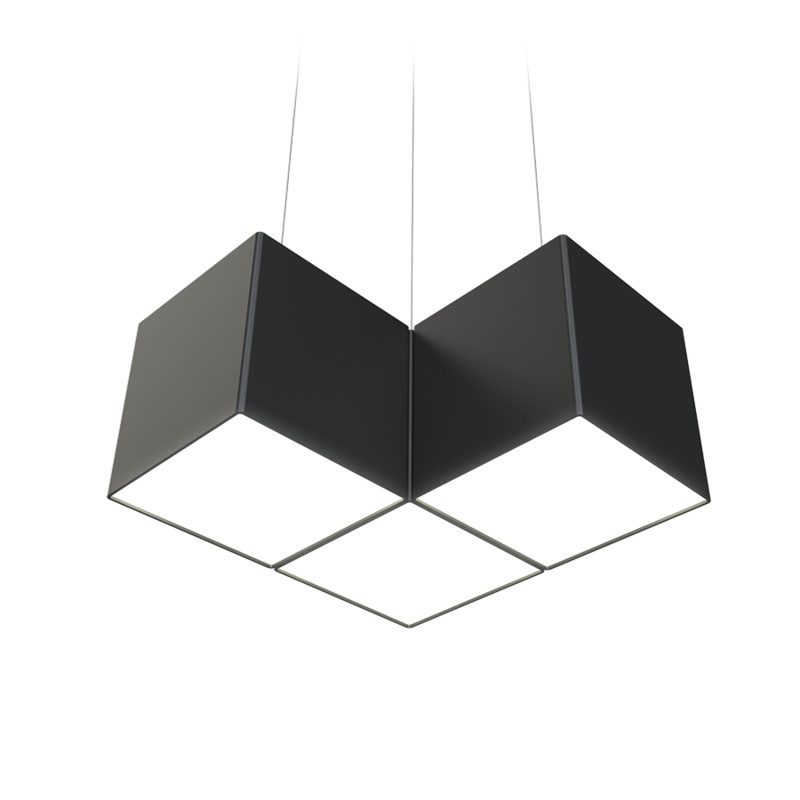 14x14 cm made of light plastic is available in four available colors: matt - black, dark gray and glossy - black. 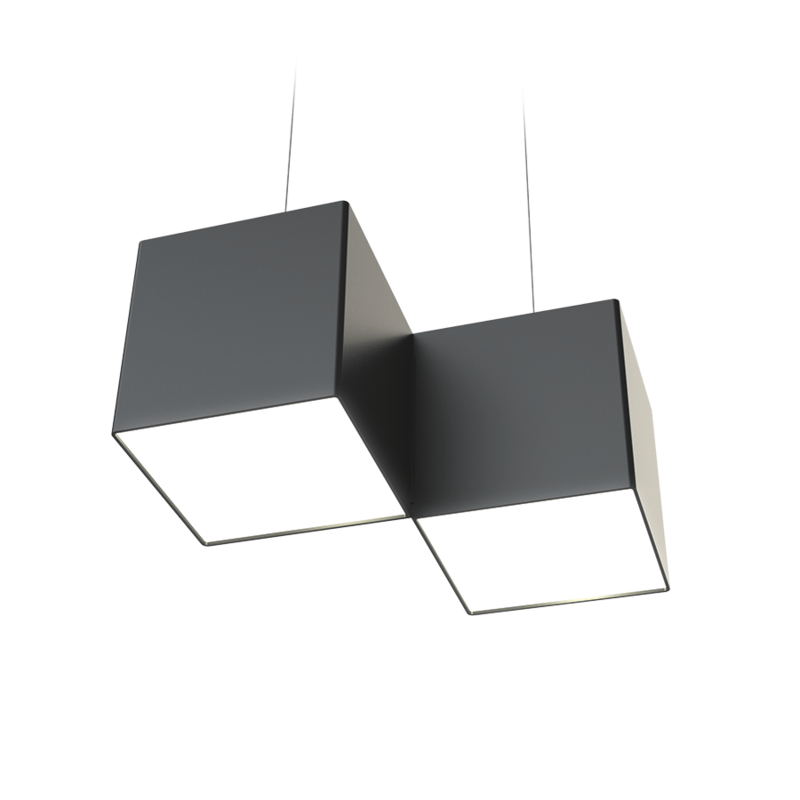 NOISE can be mounted on the wall, ceiling or as a pendant. 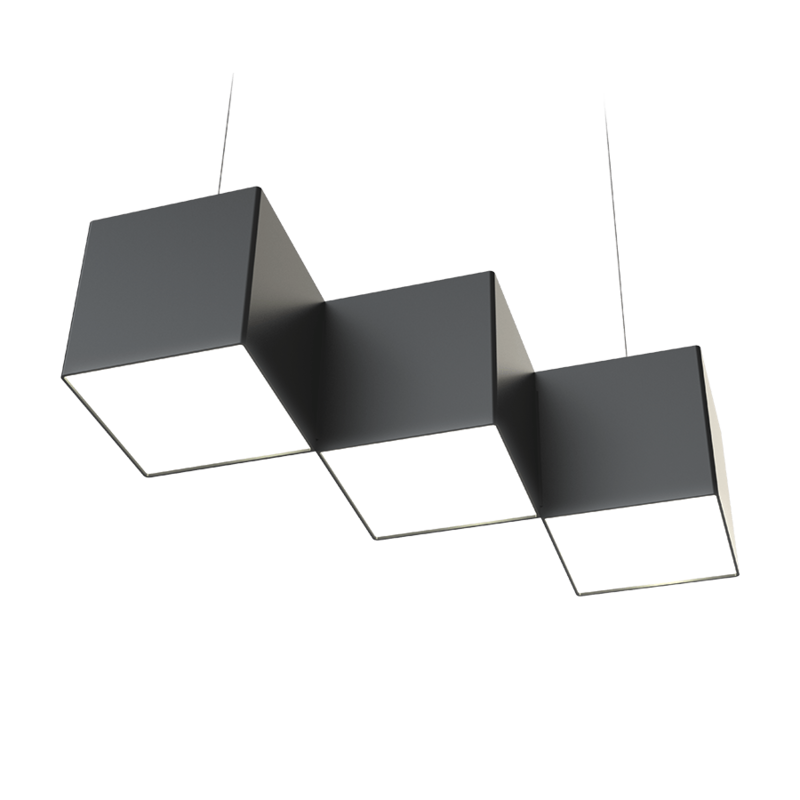 Thanks to this, you have even more freedom in composing lighting for your interior. 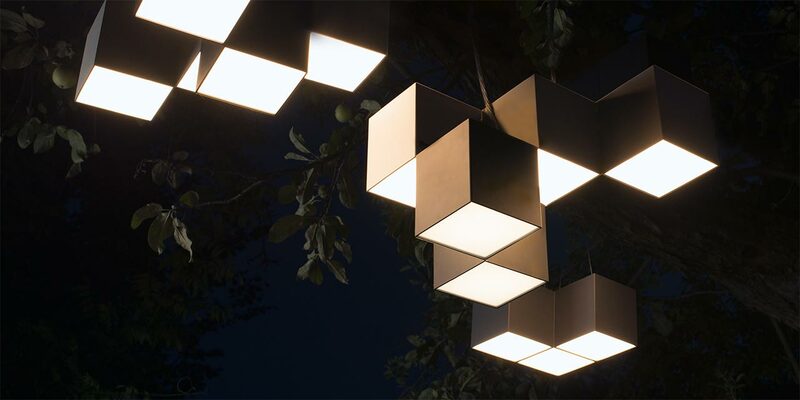 NOISE luminaire cubes that are next to each other connect mechanically and electrically using special connectors. All you need is one power cord for 30 modules connected to each other. Specially developed leveling and assembly system allows for a trouble-free installation of the NOISE puzzle. Take the template - arrange the fixtures - fasten and level the suspension - click! And ready.